I love to recycle things. I knew that my leftover reclaimed wood planks would come in handy someday. So when it was my turn to lead the Winter Challenge I picked a Stencil project for them. The planks are in all different sizes so finding the right size was a challenge. I decided to go with the plank that was the tallest so I can hang it on a narrow part of a wall. I found a pretty Moroccan style stencil and stenciled it at 5 different locations on the wood plank each measured evenly. Its was very easy and the only tricky part is making sure to dab the paint on lightly. See Tutorial below! 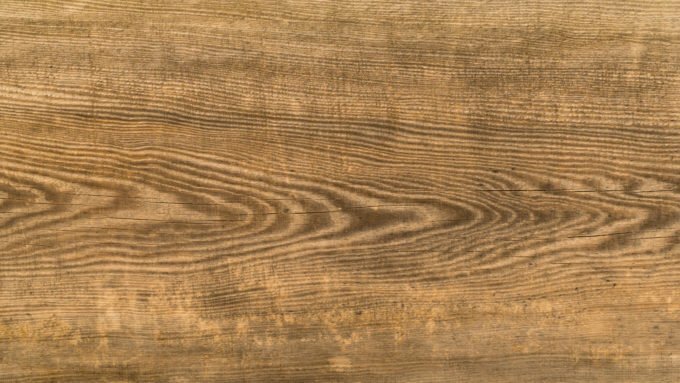 Clean surface of wood. Tape the stencil on the wood. Dab the paint very lightly on the stencil. If you use too much paint it will bleed. Repeat the same process and place the stencil 3 inches a part or whatever distance you like. Make sure the measurements are equal so the stencil design look evenly. I would like to thank Carol from Garden Up Green for designing the Seasonal Blog Challenges. January was my turn to lead and it has been a true pleasure. 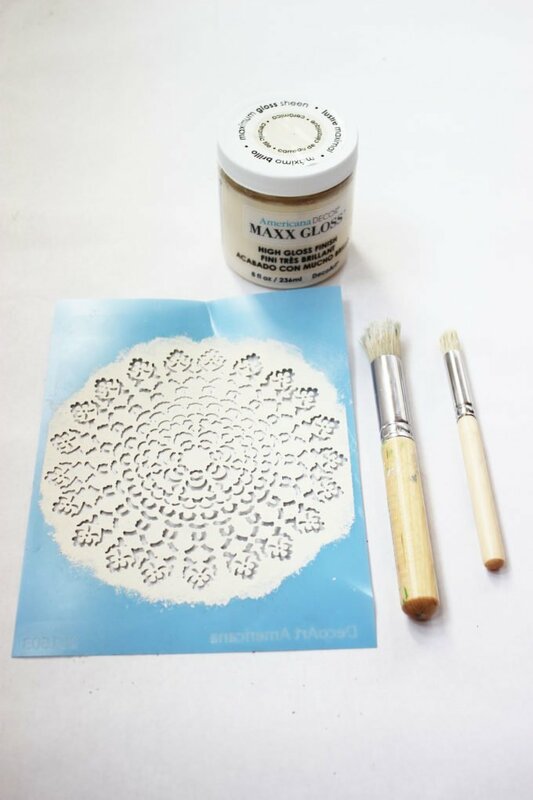 Stop by and visit all the gals fabulous stencil challenges below! 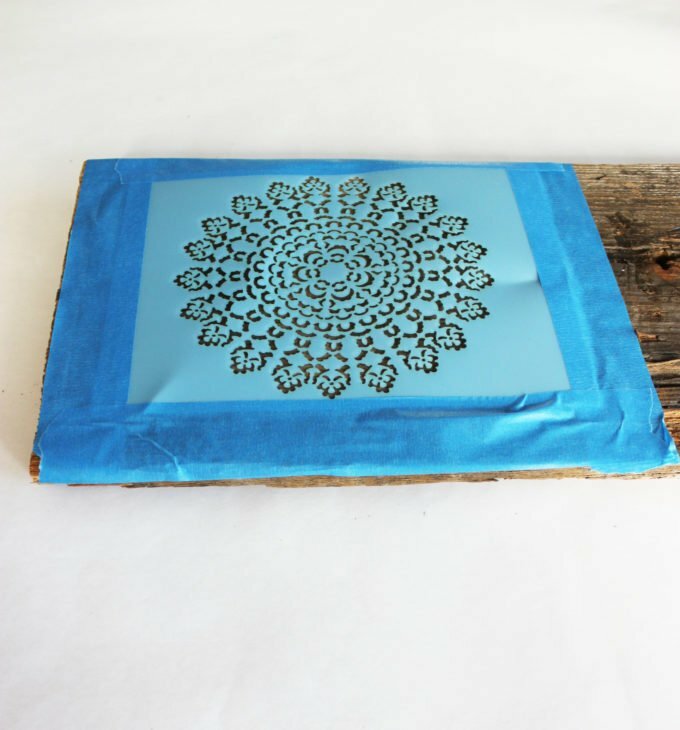 Your Moroccan stencil print on a reclaimed plank turned out great and is a great accent piece in your home. Another great challenge. Thanks for hosting. Patti, hope you are doing well! Thanks so much for being such a sweet bloggy friends, appreciate your friendship. Your project is beautiful, Maria, and I love how well it accents your trim and so perfectly matches the design on your vase. What a perfect decorating piece for your wall! It looks perfect where you’ve put it. You have inspired me to do something similar – Thank you! I love what you did, Maria. 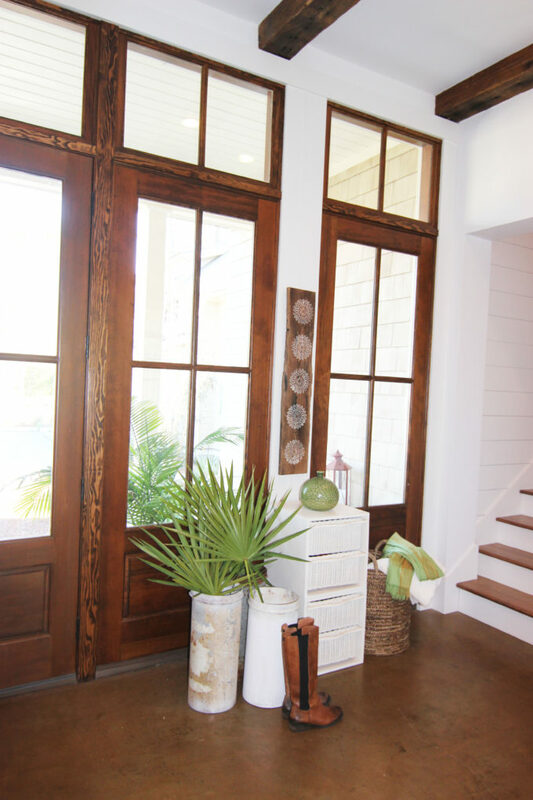 It looks eclectic and natural so it fits in perfectly in your beautiful home. Thanks my friend, hope you are doing well! Miss you! 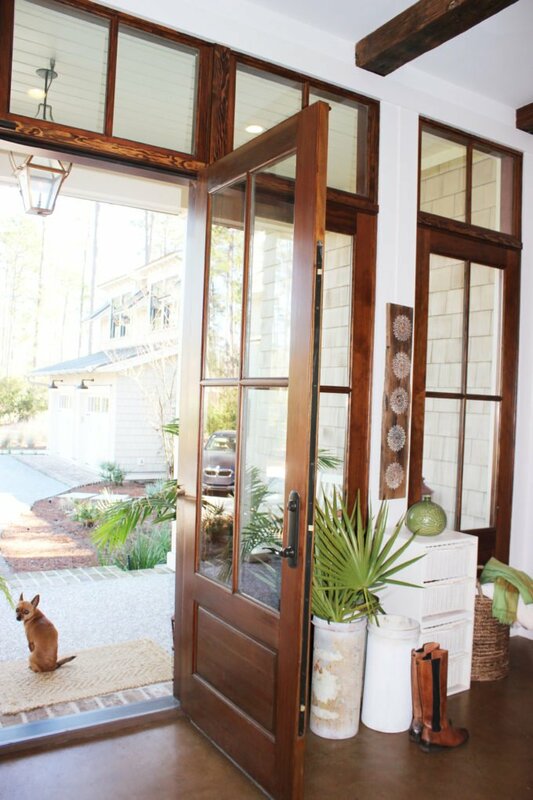 This is so pretty, your project just pulls that space together. This looks perfect with your home decor. I love it. Thanks Bon Bon. I love yours too. 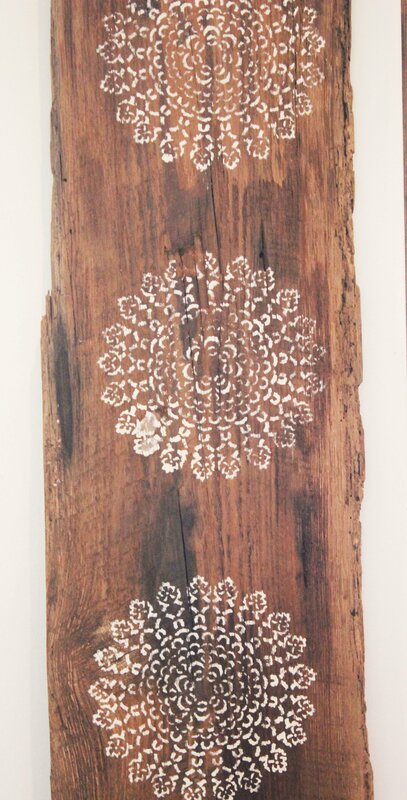 Hi Marie: I really enjoy the contrast between the rough hewed wood and the lace stencil. It gives your artwork interest. Lovely and so simple, really pulls that area together nicely. Thanks so much for sharing on craft schooling sunday! Love your parties and thanks for stoppin gby. 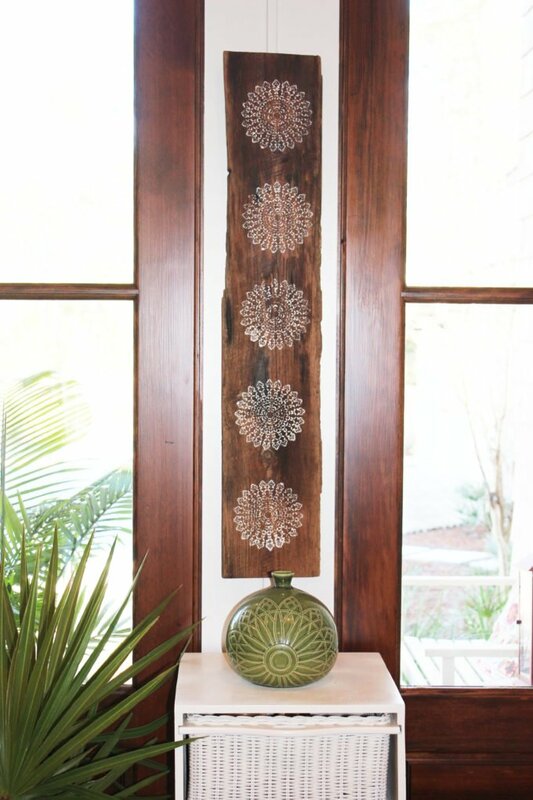 Such a beautiful accent piece, yet so easy to do! I absolutely love it! I have some wood carved stamps that I will try this with. Thank you for sharing! Very pretty! Love the stencil you chose! Hope you try this with all your wood. Love your party, I have added you to my party list. Thanks Lidy, thanks for your kind words. Beautiful! Thanks for sharing this craft at Craft Frenzy Friday on Mom Home Guide! Love your party I have added you to my party list. What a lovely upcycle project. 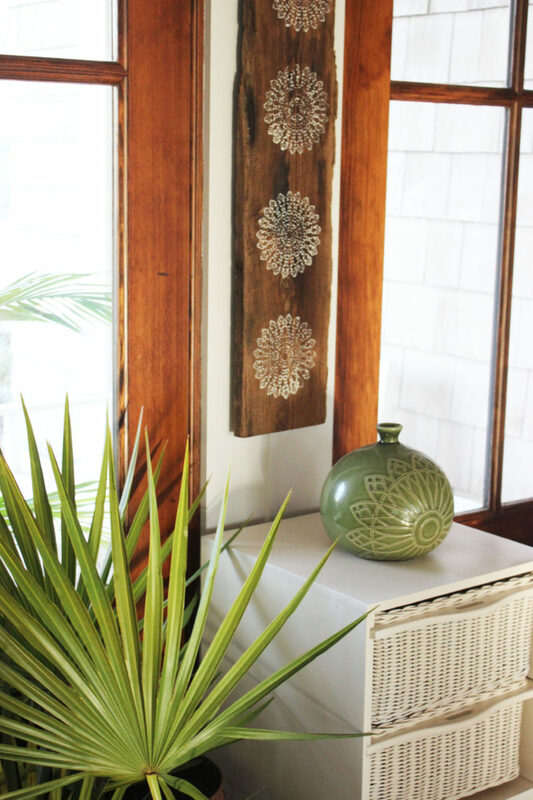 The stenciled plank is a wonderful decor piece. Thanks for sharing at Snickerdoodle. This is so beautiful and fits right in! Thank you for sharing with us at Funtastic Friday! This is so beautiful! Something like this would be so expensive in the store…why buy when you can DIY? Love it! Thanks so much for the feature, it made my night!